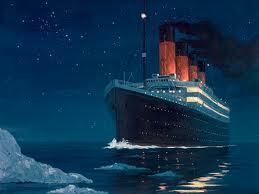 Nearer, My God, To Thee is commonly believed to be the last song the Titanic played as the ship sank. The popular hymn was written by Sarah Flower Adams and is loosely based on Jacob’s dream in Genesis 28:11-19. This hymn is considered by hymnology students to be the finest hymn ever written by a woman composer. Sarah was born in Harlow, England on February 22, 185. Her father, Benjamin Flower, was a newspaper editor and man of prominence. Sarah was active on the stage in her younger days. She won rave reviews portraying Lady MacBeth in London. She worked closely with her sister, Eliza Flower, who was an accomplished musician. Sarah married railway engineer, William Bridges Adams, in 1834. The couple lived in Loughton, Essex, England, where a blue plaque is now dedicated to the public. Sarah and Eliza worked created many hymns with William Johnson Fox for his hymnal “Collection Hymns and Anthems”. It is said Sarah wrote quickly and editors found little to change, many of her songs were praising God. 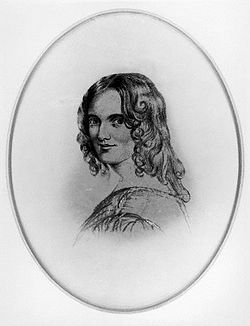 Her longest work is “Vivia Perpetua, A Dramatic Poem” written in 1841. While working together Rev. Fox said he wished he could find a song to conclude his sermon on Jacob and Esau. Eliza recommended her sister write the hymn. Sarah spent the next week in prayer and studying the scriptures. The song was published in a 1841 hymnal under the title “Hymns and Anthems.” Sarah and Eliza were raised in the Unitarian Church, but it’s possible Sarah may have converted to the Baptist Faith shortly before her death. Sarah faithfully cared for her sister when she contracted tuberculosis. Eliza died in 1846, but Sarah had developed the consumption by this time. She died on Aug 14, 1848 at the age of forty-three and is buried at the church in Harlow. The words Sarah wrote are associated with three different tunes. In the United Kingdom, it is usually sung to a tune known as “Horbury.” This tune was written in 1841 by John Bacchus Dykes. The tune “Propior Deo” was written by Sir Arthur Sullivan of Gilbert and Sullivan fame. This tune is popular in British Methodist traditions. Lowell Mason, who is known as writing over 1600 tunes such as “When I Survey the Wondrous Cross”, “Joy to the World!” and “My Faith Looks Up to Thee”, wedded the lyrics to Sarah’s song with his tune, “Bethany.” Although the lyrics were introduced in 1844, it was after this marriage that the song became popular. This version is the most popular and well known of the three. “Nearer, My God, To Thee” has proven its popularity through the ages. The Confederate army band played this song as the survivors of the disastrous Pickett’s Charge (in the Battle of Gettysburg) returned from their failed infantry assault. The Rough Riders sang the hymn at the burial of their slain comrades after the Battle of Las Guasima. Legend says the words of this hymn were the dying words of President William McKinley after his assassination in 1901. The hymn was also played at President William McKinley, President James Garfield and President Gerald Ford’s funerals. 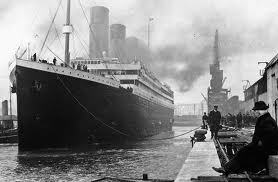 Wallace Hartley, the Titanic’s band leader, was known to like this song and request that the hymn be played at his funeral. Survivor accounts differ among which version or melody was played. Friends of Hartley recounted after the sinking, that he had said if he was ever on a sinking ship he would play Nearer, My God, To Thee.